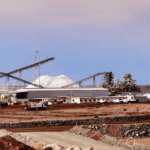 Pilbara Minerals has reinforced the potential to increase the processing capacity at the Pilgangoora lithium operation in Western Australia by 50 per cent in a stage three expansion. The company’s stage three scoping study has forecast the next growth project will cost $225.83 million. It would increase the site’s annual processing capacity to 7.5 million tonnes from the proposed five million tonne stage two target. The stage three study estimates that Pilgangoora would deliver average annual production of approximately 1.2 million tonnes of spodumene concentrate and 1.1 million pounds of tantalite concentrate over a 15-year life of mine. Pilbara Minerals announced plans for the expansion in January this year following strong customer interest in additional product supply. The stage three scoping study is based on Pilgangoora’s 108 million tonne reserve. Pilbara Minerals’ managing director and chief executive officer Ken Brinsden believes the study has delivered exceptional results that further reinforce Pilgangoora’s outstanding quality and scale. 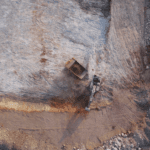 “The ability to expand the project to a production rate of well over one million tonnes per annum of spodumene concentrate, with a minimum mine life of 15 years, underlines our position as a globally significant lithium raw materials producer,” Brinsden said. Pilbara Minerals believes a stage three expansion will support its objective for increased participation in downstream lithium chemical opportunities with POSCO and potentially other partners. The company formed a joint venture with POSCO for the development of a lithium processing plant in South Korea earlier this month. 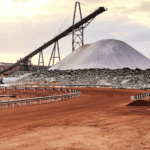 Pilbara Minerals, which has already committed the majority of stage one and two spodumene concentrate under offtake agreements, would use the addition stage three output to supply existing and new customers. Brinsden said the company’s strategy from the start had been to develop each stage with a focus on the potential to continue to expand the Pilgangoora project. “We remain very focused on the stage one optimisation in progress and have teams dedicated to that task,” he said. 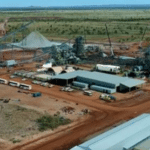 Pilbara Minerals officially opened the Pilgangoora mine and approved a stage two expansion in November 2018. The company also announced yesterday that it completed a $50 million equity placement with Jiangxi Ganfeng Lithium, which secures an additional 70,000 tonnes per annum of spodumene concentrate from stage two.